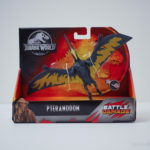 Mattel’s Jurassic World Battle Damage toyline started off strong in 2019 with the much-revered Albertosaurus, but outside of that initial release we haven’t seen or heard much about more of these retailer-exclusive figures. 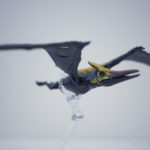 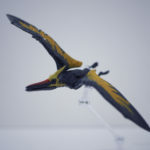 Last month we reported on some of the new and repacked smaller figures showing up in Australia, and we finally have our hands on the only “new” figure in this assortment for our latest Photo Feature: the Battle Damage Pteranodon. 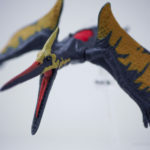 While this this figure is actually a repaint of the previously released Wave 2 Battle Damage Pteranodon, that figure saw such a limited release that this new version will probably be most collectors’ first exposure to the mold. 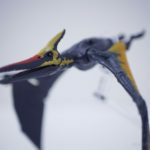 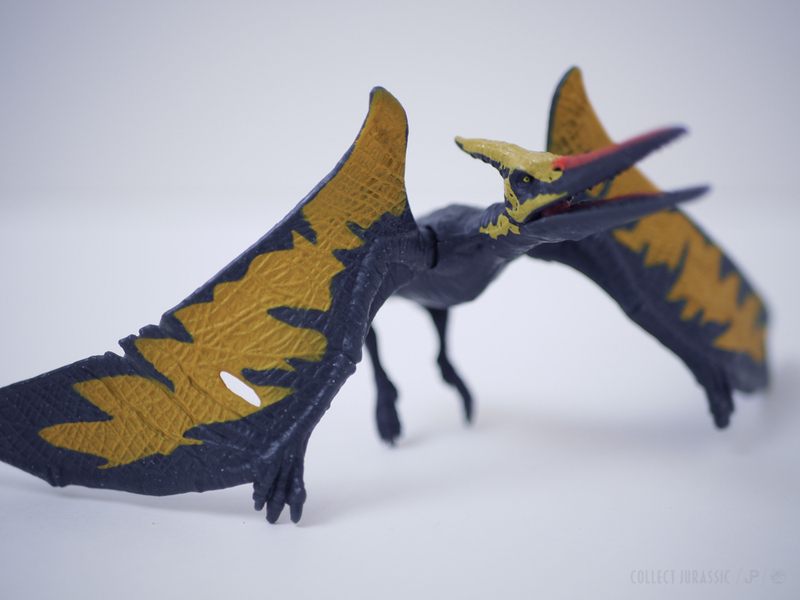 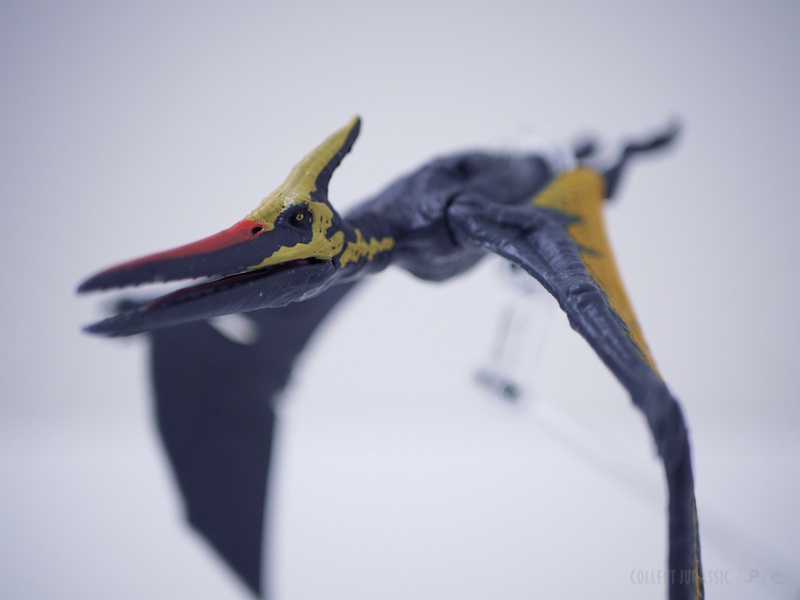 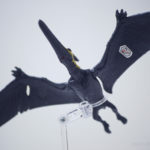 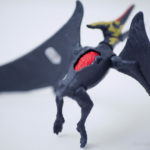 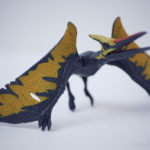 With fully articulated wing joints as well as hinged legs that allow the Pteranodon to maintain a “landed” pose, this is one of our favorite Mattel Pteranodon molds. 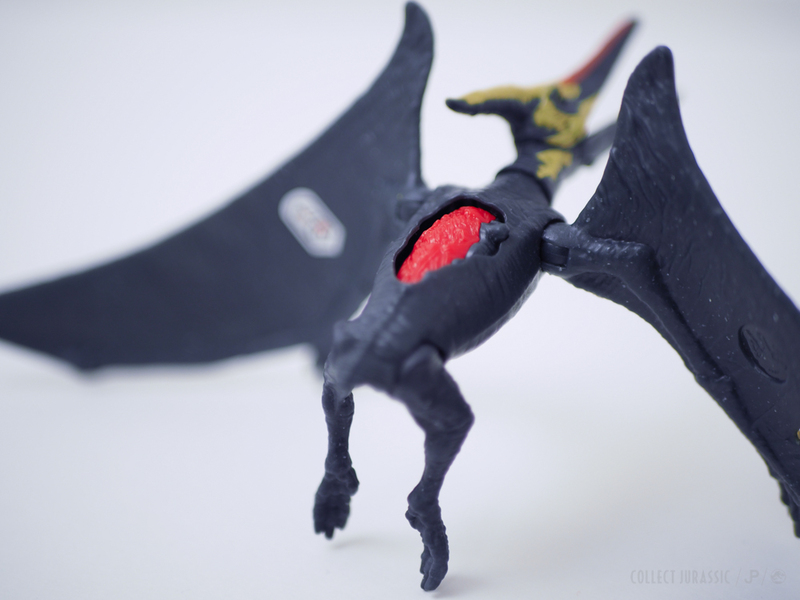 The signature Battle Damage feature on the back of the figure blends in well when closed, something Mattel has paid special attention to in this toyline. 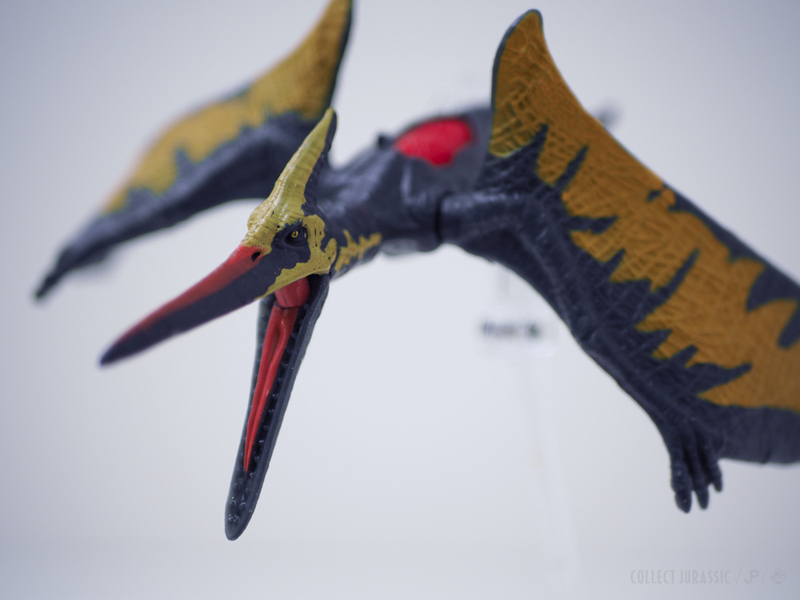 Additionally, the head features limited motion and a beak that fully opens. 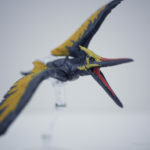 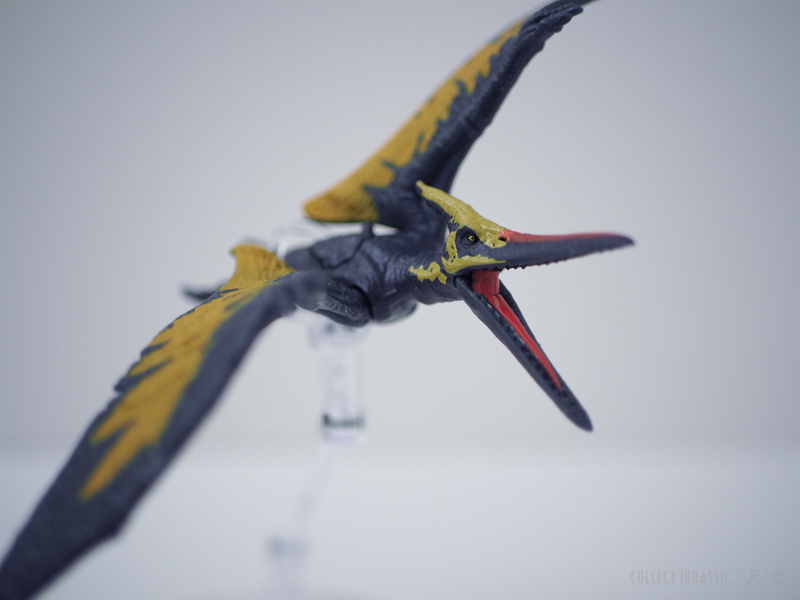 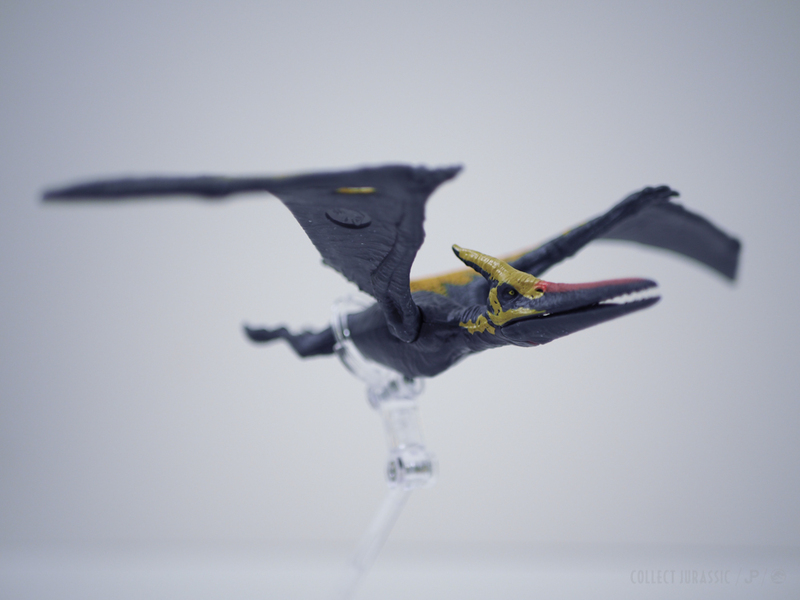 Take a closer look at this vibrant version of the Jurassic franchise’s favorite flying reptile in our gallery below, and let ask now in the comments what you’d like to see in our next Photo Feature! 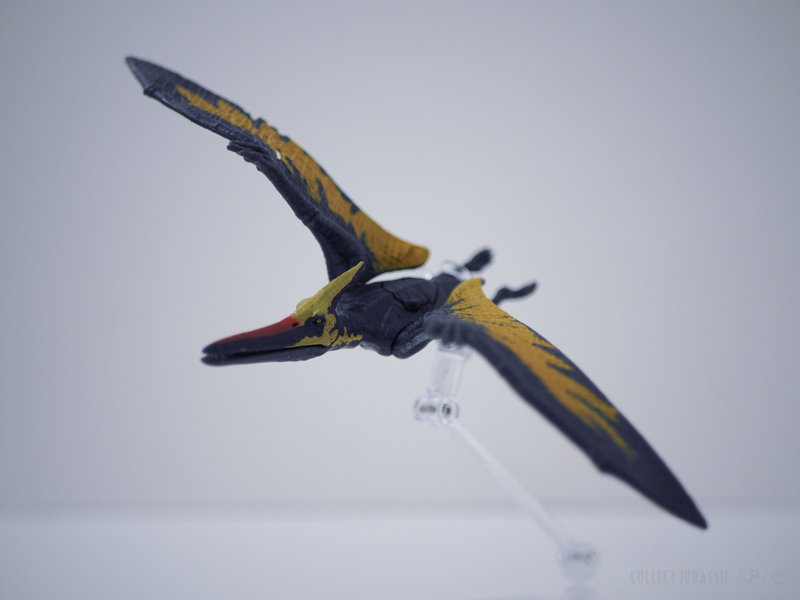 Happy to hear it’s the same as the Wave 2 Pteranodon that was part of Wal-Mart’s Battle Damage line. 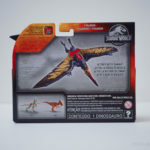 Still have yet to find that and the Velociraptor, the latter of whom hopefully can still be found. 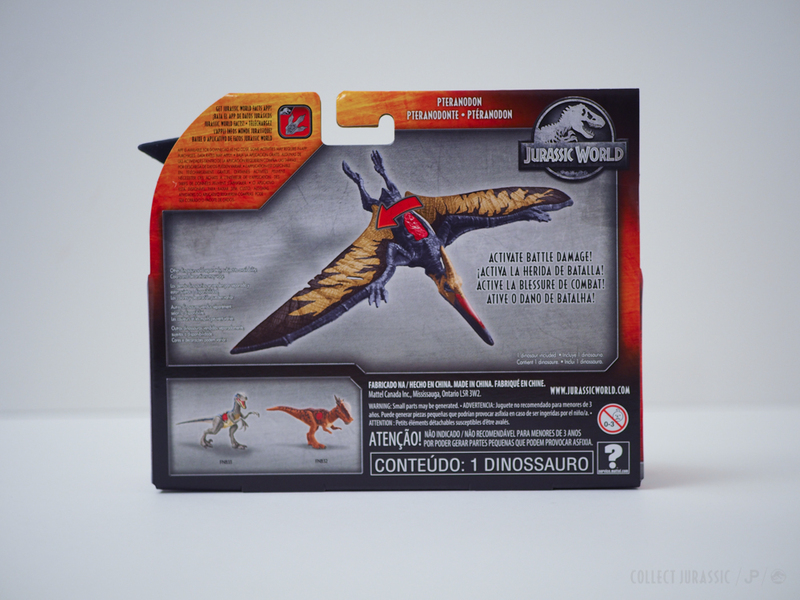 They’ve been tricking into Walmart’s in our area, but not in great quantities. 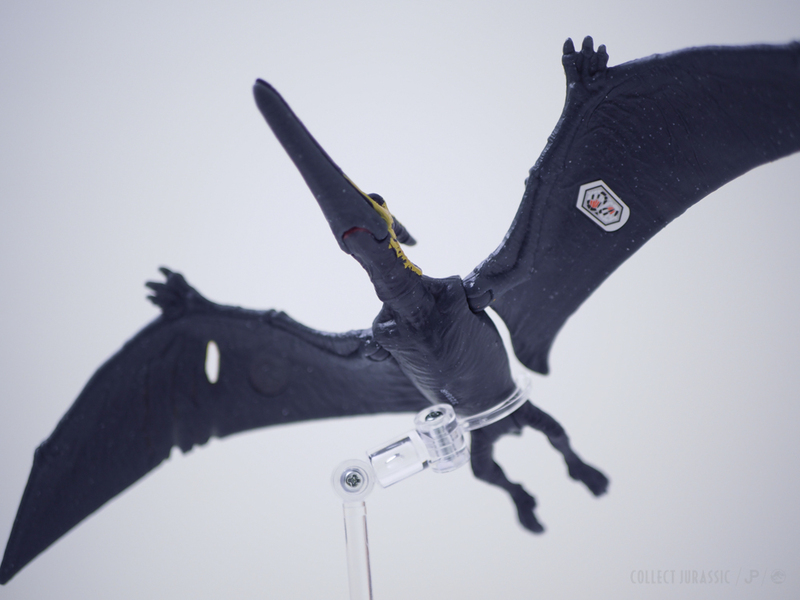 Will most likely be a rarer figure. 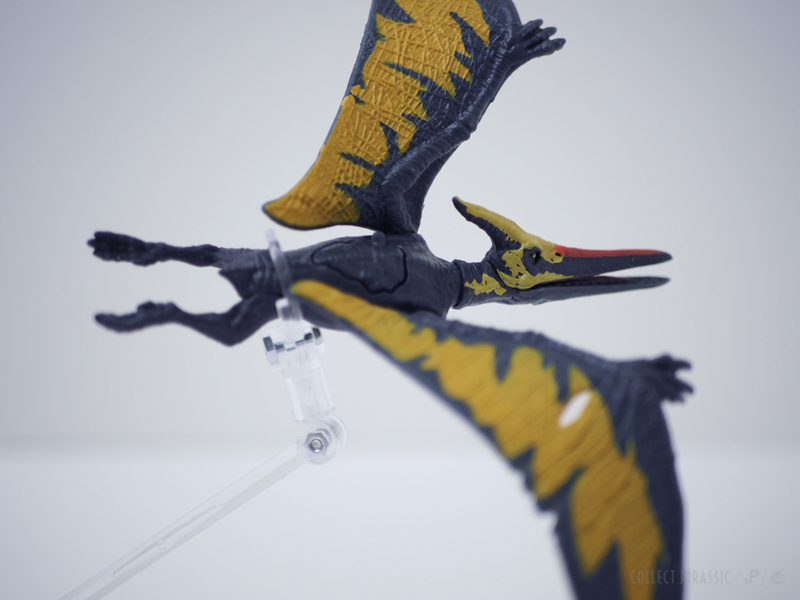 The nearest Wal-Mart near me hasn’t gotten either in so far but they have quite a few of the BD Gallimimus. 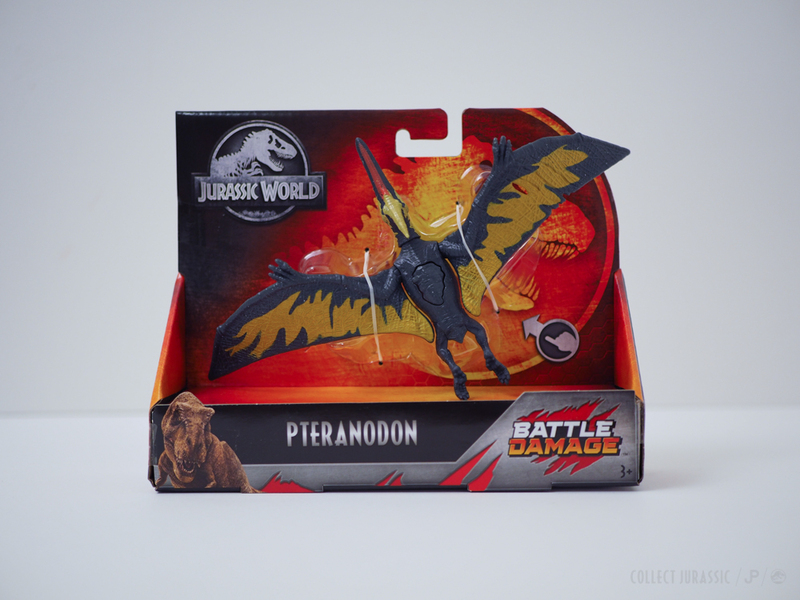 There’s some other Wal-Marts in my city, a bit farther but those are more likely to be better shots at scoring the BD Velociraptor and/or Pteranodon.